Annie Zummo, RMT, CCH, CPDT, – With the support of her Guides, the Crystal Consciousness, and her Souls knowledge of the Rays of Light she assists Gaia and others in their ascension process. Being sensitive to traditional medicines, Annie set an intention to seek holistic methods to heal her body, mind, and spirit. Being organically drawn to crystals she began activating them and learned of their ability to heal on a physical, emotional, mental, and spiritual level. Her journey into the Crystal Consciousness created wellness and balance within herself. Experiencing their frequency and their Sacred Geometric composition, resulted in profound wholeness. Before her Awakening she felt that she “needed” to go through traditional channels of outside certification, to prove her worth to help others attain balance and health. 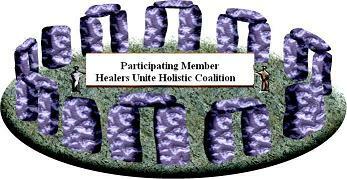 While her credentials are listed, her energy sessions and crystal healing’s come from within her own I AM Source. Through her personal awakening she remembered who she was and why she was here. Her innate gifts and talents emerged as she began her clearing of outdated Beliefs and Karmic Debts, to uncover her Divine Blue Print. As a Way Shower she assists by empowering others to remember that nothing external can give us the wisdom or acceptance that we possess from within. Annie is a Registered Metaphysical Practitioner with the World Metaphysical Association, and a Registered Holistic Practitioner with the American Council of Holistic Healers. She also has earned an Accreditation of Alternative and Natural Health Practitioners from the American Council of Holistic Healers. Annie is a Professional Member of The International Center for Reiki Training (ICRT). She is a Certified Crystal Healer through Hibiscus Moon Crystal Academy, and a Reiki Master and Teacher.